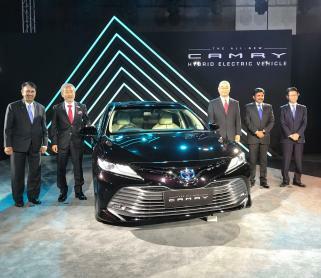 Toyota has launched the eighth generation Camry Hybrid in India. The car is available at an introductory price of Rs. 36.95 lakh (ex-showroom). 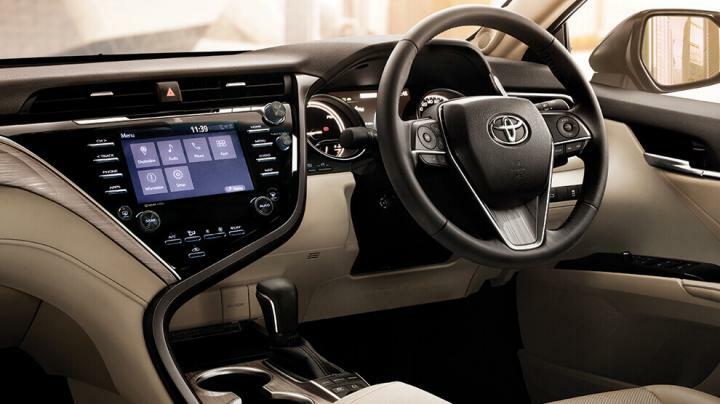 The new Camry is based on the Toyota New Global Architecture (TNGA). It measures 4,885 mm in length, 1,840 mm in width and 1,455 mm in height. The car has a wheelbase of 2,850 mm and is fitted with a 50 litre fuel tank. 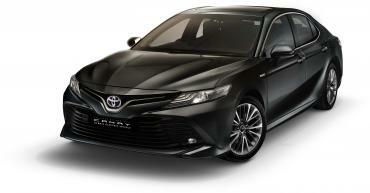 The eighth generation Camry comes with an updated front end design. It features a chrome grille with LED projector headlamps that have integrated LED DRLs and follow-me home function. The front bumper has a large trapezoidal air dam with LED fog lamps placed in either corner. At the rear, there are wraparound LED tail lights and a dual-tone bumper. 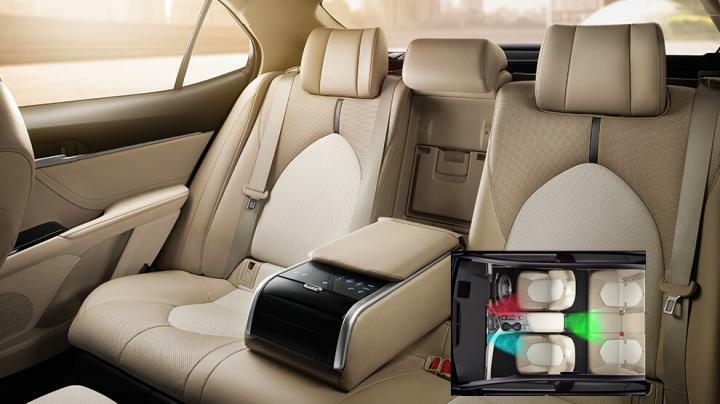 On the inside, the new Camry Hybrid comes with beige leather upholstery. It has ventilated, 10-way power adjustable front seats with memory function for the driver seat and power reclining rear seats with armrest-controls for the audio, rear sun shade and the 3-zone automatic climate control. The car comes fitted with a 9-speaker JBL audio system that has Bluetooth and navigation. Other features include wireless charging, 10-inch heads-up display, rain sensing wipers, cruise control, ECO meter among others. 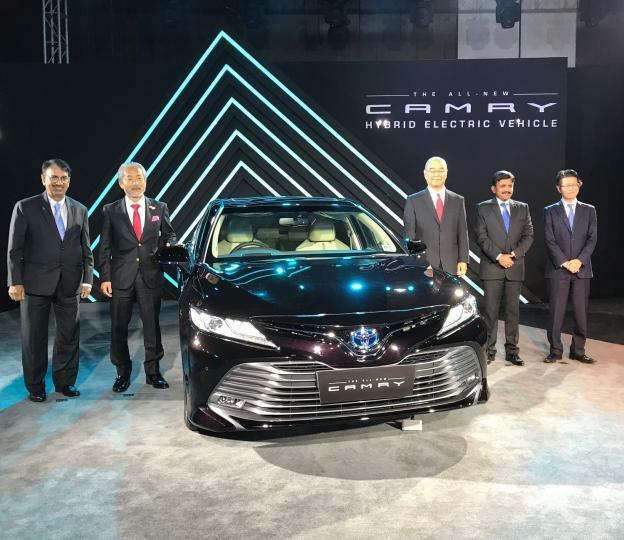 The Camry Hybrid is powered by a 2.5-litre, 4-cylinder petrol engine that produces 176 BHP @ 5,700 rpm and 221 Nm of torque @ 3,600-5,200 rpm. The Hybrid System Motor Generator delivers 118 BHP and 204.1 Nm of torque. The powertrain is mated to a continuously variable transmission (CVT) with paddle shifters. It has three driving modes - Eco, Normal and Power. Toyota claims a fuel economy figure of 23.27 km/l. The list of safety features that are offered as standard include 9 airbags, ABS with EBD and brake assist, brake hold function, Vehicle Stability Control, traction control, park assist, tyre pressure monitoring system and ISOFIX child safety seat anchors. The new Camry is available in 7 colour options - Platinum White Pearl, Silver Metallic, Attitude Black, Burning Black, Red Mica, Phantom Brown and Graphite Metallic.